It’s clear, when speaking with Loggy Dinelle, that the sheer exhaustion of trying to stay competitive in small town Ontario has profoundly impacted him. 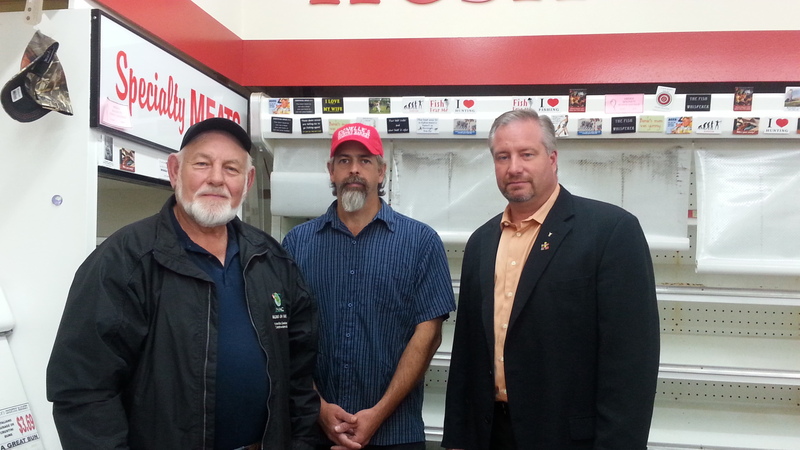 Loggy Dinelle is the owner/operator of Dinelle’s Country Market in Echo Bay, Ontario. 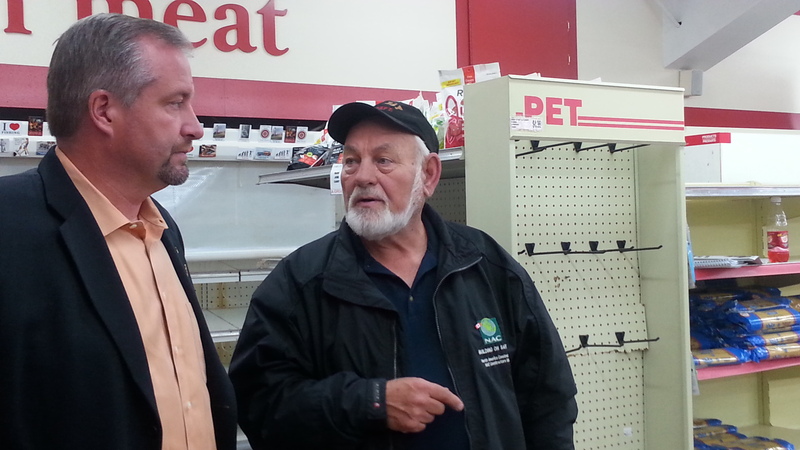 On Saturday, October 15th, 2016, Dinelle, and his son Wyatt met with Algoma-Manitoulin MPP Michael Mantha, and Echo Bay Mayor Lynn Watson to share the current state of affairs for the grocery store. If all things were equal, recent upgrades and improvements to some of Dinelle’s Country Market infrastructure would have served the business well moving forward. Refrigeration Units, Freezers, Coolers, Compressors and more, received energy efficient upgrading. But all things are not equal. Hydro rates have soared through the roof. Dinelle’s Country Market, is one of many, on an ever-growing list of small businesses in Ontario, that quite simply cannot keep up with a moving target called hydro rates. Rural and small town Ontario businesses where substantial energy consumption is essential to the daily operations of the business, are hard pressed to find the money in already tight margins. Dinelle would rather not be the canary in the coal mine, sharing his story, but the grocery market his family has operated since 1979 has reached the precipice. After 37 years in business, Dinelle has made the difficult decision to close approximately two-thirds of square footage within the only grocery store in Echo Bay, Ontario. Built in 1858, the country market building has been a constant in the community of Echo Bay. Dinelle took over the business reigns from his father 22 years ago. “Due to the increase of costs in doing business here, we’ve had to decrease the size of our store operation to be able to maintain some presence in the community. Over the course of 15 years, the hydro costs have gone from $2,000 to $5,000 (per month)” said Dinelle. 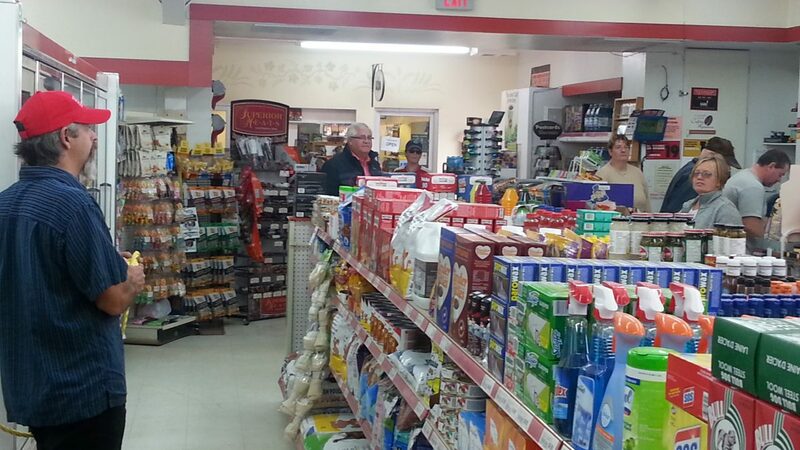 The grocery store has also been affected by the Hwy 17 By-Pass, which swings north of Echo Bay. When wages for seven staff are factored in, the shrinking profit margins have made it impossible for the grocery store to stay in business in its current form. Dinelle’s Country Market began a new operational format on Saturday, October 15, going from 7 staff to 3. 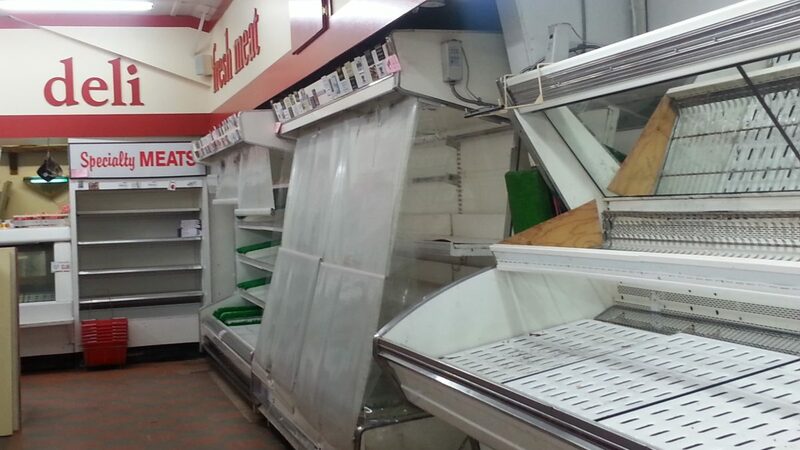 The front portion of the store is open, but the largest section where fresh produce, meats, bakery and other grocery items were found, is now closed. New lights and heating system were recently undertaken to modernize the building. “The mom and pop shops cannot compete anymore with increases in energy prices. We need someone to step up and make difficult decisions on what we are going to need to do in order for these small businesses to survive,” said MPP Mantha. The author of the letter, who owns two parallel businesses, posted an info-graphic to further make the case for discrepancy in fair play. The chart below shows a monthly invoice from both Ontario stores; one in Kemptville, and the other in Ottawa. The stores use approximately 18,500 KwH for the month (July,2016) and both have a similar time of use pattern. 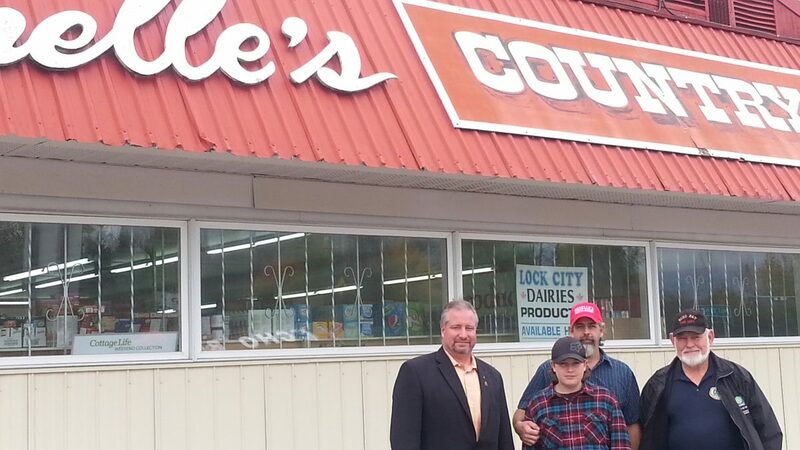 Wyatt Dinelle, who was hoping to someday take over the grocery store from his father, is now facing an uncertain future as Dinelle’s Country Market enters a re-imagined format in the rural township. Previous articleFebruary means Great Snowmobiling Fun in Twin Saults!